A few weeks ago I was looking for wireless headphones, I wanted something to wear to the gym but I wasn’t sure if I wanted noise cancelling or something else. 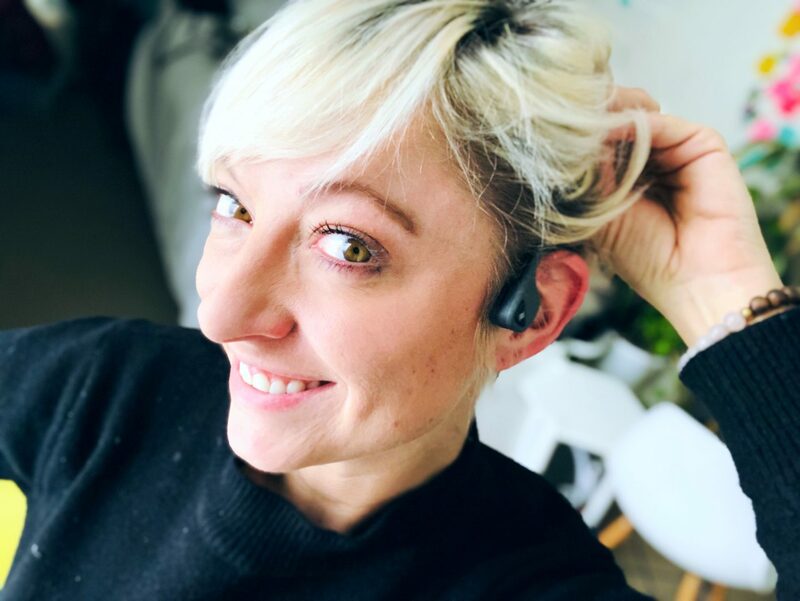 There was a whole debate about what’s better on my Facebook page and I ended up ordering a pair of noise cancelling but they made everything…too quiet! I’m rarely in a situation where I want to silence everything, I feel safer when I can hear. I like to know what’s going on around me when I’m walking around outside, working out, or in transit. Then something great happened! I got asked to review AfterShokz headphones with bone conduction technology in a program with PTPA. Over the next 4 months, I’ll be testing out the headphones in my daily life and sharing my experience. I was really keen to try how bone-conducting headphones work and the technology behind them. Comfort is a big factor for me and these are small and lightweight, you can hardly feel you’re wearing them. I’m not that into earbuds, I’ve found most of them uncomfortable in the past. I feel like a bit of a dork telling you this but there’s been a few times I’ve had them on, forgot I was wearing them, then wondered where the music was coming from. Ha! They come with a handy carrying case for easy transport when you’re not wearing them but to be honest, you can wear them all the time with ease. I love being able to hear what’s going on around me but also have a soundtrack to my life. The sound is a little bit hard to explain but I like it, it feels futuristic. You can turn up the volume so you hardly hear anything around you, or keep it low and be fully tuned in to your surroundings. They also come with ear plugs if you want a noise cancelling effect but I don’t think I’ll be using those. 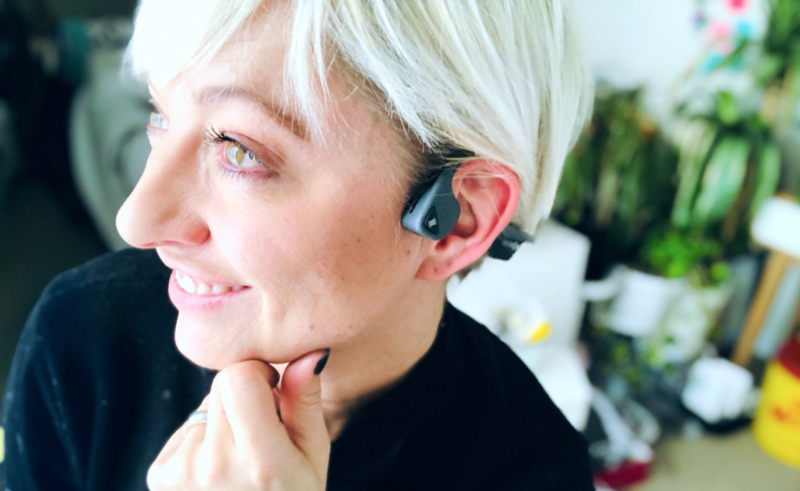 “Bone conduction is a natural part of the hearing process—sound travels through our eardrums and bones simultaneously. We’ve taken the concept to the next level through development of a suite of proprietary audio technologies and design patents. The result: headphones that deliver unrivaled situational awareness and comfort. 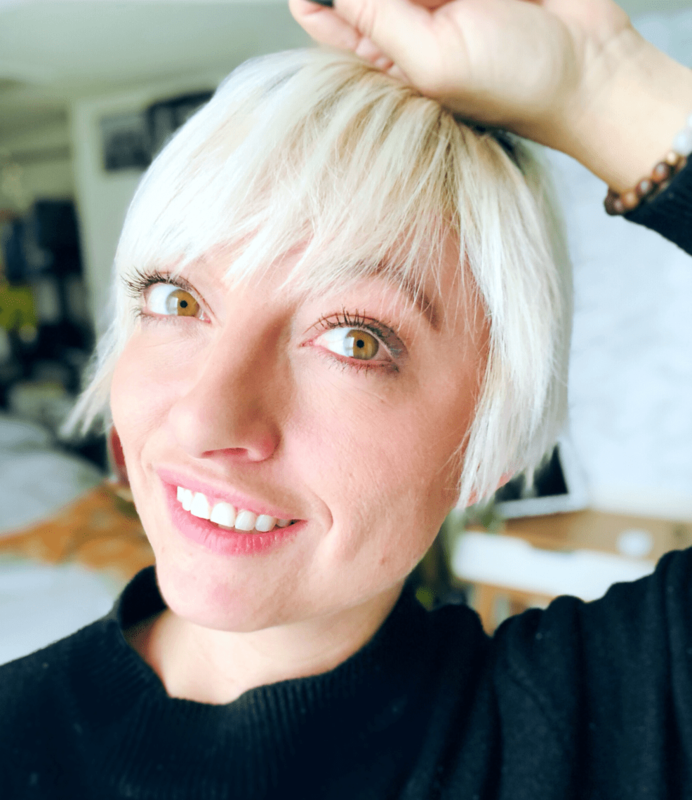 In my next post, I’ll be sharing how they are for working out now that my shoulder is better. They repel sweat and I’m gonna put that to the test. I love that you can wear them cycling or running and still feel safe and alert to sounds around you. 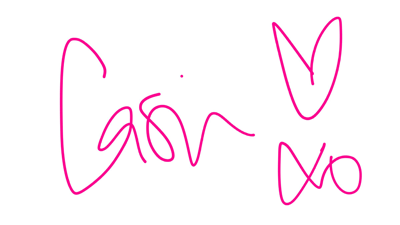 I also have a giveaway with a pair for a lucky reader so stay tuned for that! 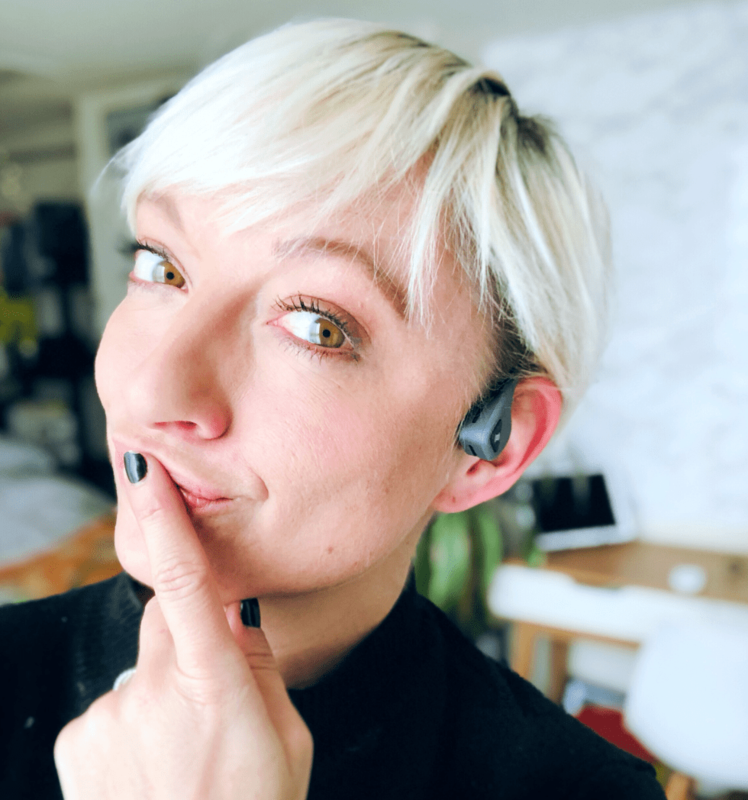 Any questions about the sound or bone conduction technology, leave a comment or Tweet me! 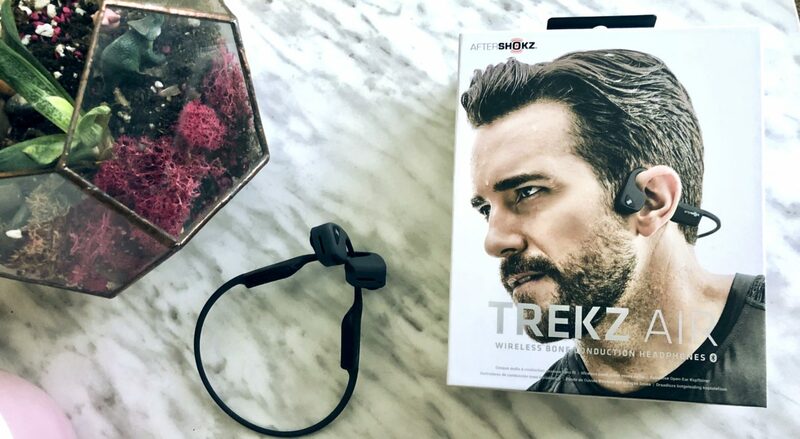 Over the next 4 months, I'm reviewing AfterShokz headphones in a paid partnership with PTPA (Parent Tested Parent Approved). All opinions experiences are my own and I get to keep them! That is definitely something I am looking for. Headphones that I don’t have to take out of my ear to hear people when they talk to me. Especially if I am in the kitchen working away and people come in to talk to me I don’t want to seem rude. What volume level do you need to listen to either music or podcasts? I personally like to keep the volume not too loud so I can hear what’s going on around me. The more I wear them the more I like them! It’s easy to tune out the world if you turn the volume up higher.